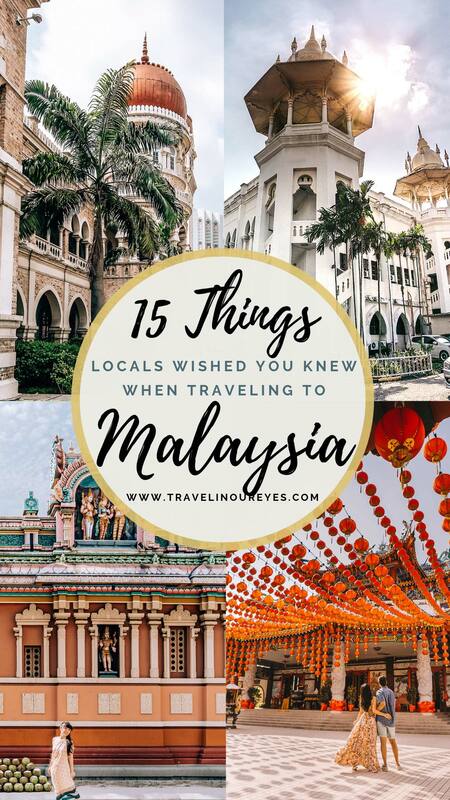 Over the years of traveling and meeting travelers all over the world, we found that the same questions and concerns kept coming up about Malaysia. 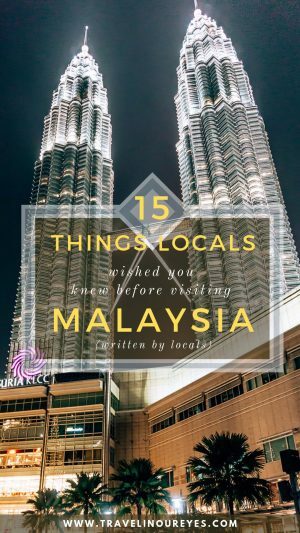 This inspired us to write about our tips, advice and explanations to the most common questions and things most seemingly misunderstood about Malaysia and Malaysians. 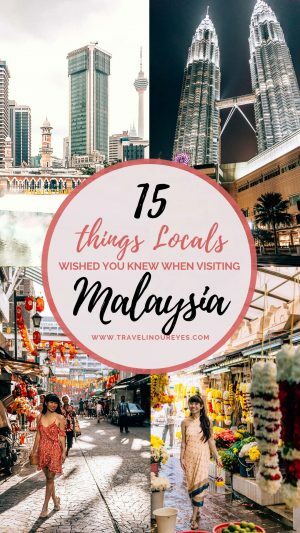 These are our compiled pieces of advice we, local Malaysians ourselves, want you to know before your next trip to Malaysia. 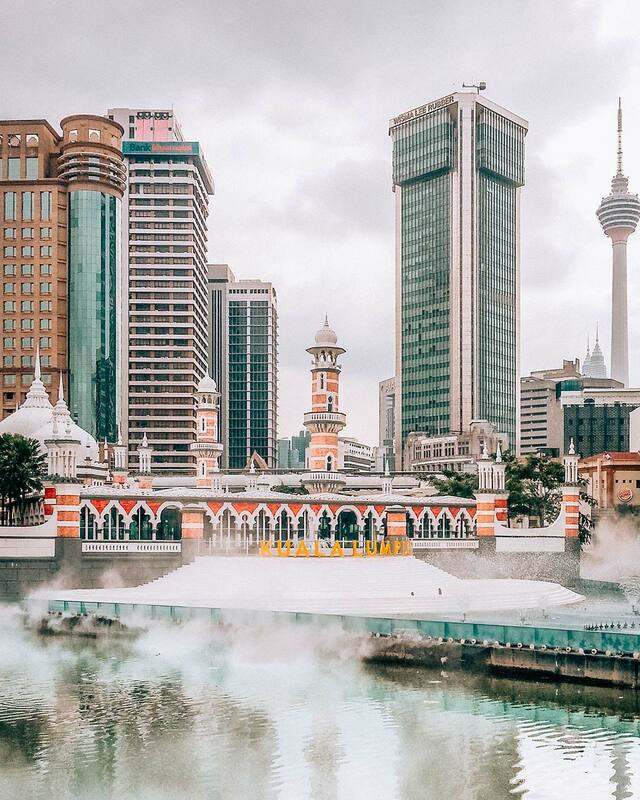 Here’s a list of our top 15 Things locals wished you knew before visiting Malaysia. 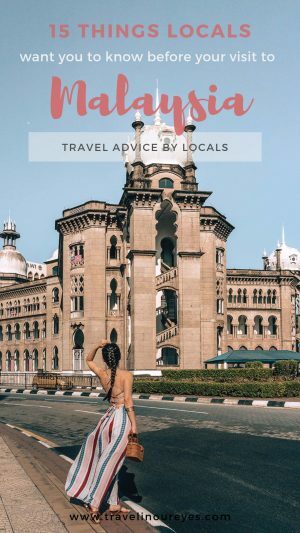 And if you’re planning your first trip to Kuala Lumpur or Malaysia, check our Kuala Lumpur Travel Guide curated for first-time visitors to the city and Malaysia. 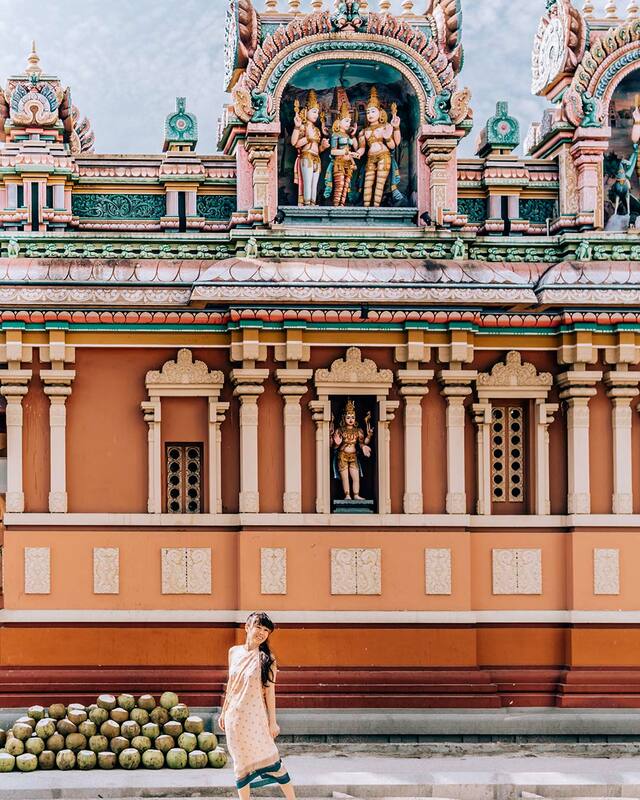 As Malaysians ourselves, our Kuala Lumpur Travel Guide for First-Timers covers all the need-to-knows and cultural nuances so you’re fully prepared to travel through this beautiful country. Malaysia is made up of 3 main ethnicities – Malay, Chinese, Indian and Indigenous groups. Now that doesn’t seem so different from anywhere else in the world. There are Australians who are of Chinese heritage, but Australian nonetheless; British who are of Indian heritage but are English, and so on. Likewise, in Malaysia. However, in Malaysia, the multicultural and multiethnic background of the nation is celebrated by all Malaysians. There are gazette National public holidays for Eid, Chinese New Year, Diwali, Thaipusam and Christmas. Shopping Malls put up decorations and cultural greetings for all the different cultures and religions throughout the year. Because of the mishmash of cultures, we have amazing food in Malaysia! And ornate temples of different religious backgrounds! ‘Malay’ refers to the ethnicity. It also refers to the Malay language spoken in Malaysia. Same goes for food and language. If you want to try food from Malaysia, you would ask “Where can I try Malaysian food?” If you ask a Malaysian “Where can I find Malay food?” they would point you to food that is only of Malay heritage and not necessarily all Malaysian food. Generally, ethnic Malays (the ethnic majority in Malaysia) practice Islam and all other Malaysians of other ethnicities do not. About 30-40% of the population is not Muslim. However, if you’re going to have a meal with a Malaysian friend and you’re unsure of their religious or cultural background, it’s always safer to ask if he or she would like to go to a ‘Halal’ restaurant. English is commonly spoken in Malaysia, especially in the cities. 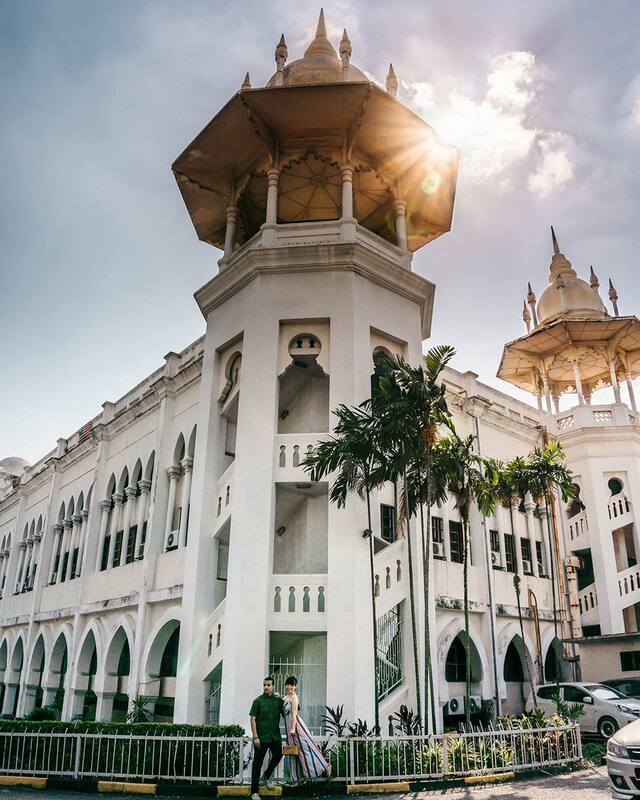 You’ll find many people fluent in English in Kuala Lumpur and Penang, though Malay (or Bahasa Malaysia) is the official language of the nation. All Malaysians will be able to speak Malay since the public-school system is taught in the official language. 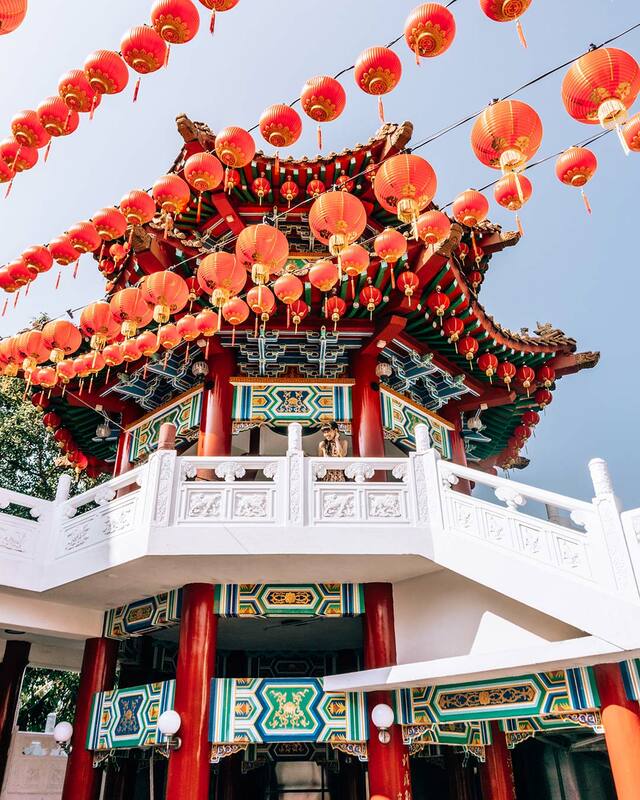 But because of the different racial backgrounds, you’ll find that in the city, English is often the language spoken between the Malaysian ethnicities. It’s only when you move out to the smaller towns that Malay is the preferred language and you may have to rely a little more on Google translate. This is especially so in the bigger cities. Just go around KL during Christmas, Chinese New Year or any other festive celebration and you wouldn’t even realize that you’re in a country that’s predominantly Muslim. In the city, you can wear what you’re comfortable with and don’t have to worry about offending. Of course, keep in mind that you should cover up if you go to religious or Islamic centers. As it is in many other countries, politics and religion are sensitive topics in Malaysia. Even with a new government elected in 2018, even with being an open Muslim country, tread tactfully if you want to ask personal opinions about either topic. Although it’s no longer the tallest building in the world, it’s nowhere near a has-been for Malaysians. Before the towers, we had to explain that Kuala Lumpur was right next to Singapore. Or below Thailand. Once the twin towers went up and remained the tallest buildings in the world for six years, most of the world had heard of Kuala Lumpur. Being that the majority in Malaysia is Muslin, many restaurants and cafes in hotels are either ‘Halal’ or pork-free. That means no bacon with your breakfast. Though it’s usually still called ‘Bacon’ it’s actually substituted with Beef Bacon. There will be restaurants and Chinese street food and hawkers, so you can get your dose of pork from non-Halal places. You can also go to a vegetarian restaurant and see ‘chicken’ or ‘fish’ on the menu. It’s actually not meat but fake meat usually made of flour, tofu or mushrooms. There is a friendly ongoing dispute between Malaysia and Singapore over not only the origin of the dishes but which country does it better. Even the chef and owner of famous Michelin Star hawker in Singapore ‘Hong Kong Soya Sauce Chicken Rice and Noodle’ is a Malaysian from Ipoh! So, when in Malaysia, don’t say “Isn’t that Singaporean?” because you tried it in Singapore first. As we said before, it’s friendly ongoing sparring between the two countries, but locals want you to know that it’s always Malaysian! Lol. Sometimes, if you happen to stop someone on the street to ask directions, you may get just a stare, a giggle, a grunt, or a non-committed point in a random direction as a reply. It’s not that Malaysian’s don’t want to help, it’s often times shyness or embarrassment of being wrong or not knowing. Sometimes the person can’t understand the accent or is embarrassed about how their English sounds, or really don’t know where the place is. And instead of just saying ‘Sorry, I don’t know’ they may send you in the wrong way or just stare at you. A small tip: If you ask someone on the street for directions, always give them a ‘way out’ but asking at the end “or you’re not sure?” We’ve found that giving the ‘not sure’ option has people giving you a quick answer and you avoid getting send down the wrong way. Grab, the equivalent to Uber in Southeast Asia is great to use in Kuala Lumpur and many of the bigger cities in Malaysia. It’s safe, you get upfront fares and all you have to do is download the app (download the app here https://www.grab.com/my/download/ ). All the rides can be paid by credit card via the app or cash paid directly to the driver. This is something locals want you to know before traveling to Malaysia: most of us locals will take GrabCar over the Taxis. The only thing about GrabCar is that you need data or internet connection to book a driver. If you must take a taxi, know that many taxis don’t follow the meter and will give you a ride ‘fare’ instead. The fare is usually outrageous and difficult to bargain down. This is especially difficult when you’re in a tourist area, when it’s rush hour or when it’s raining. Blame it on the traffic, the laidback Malaysian culture, or just plain tardiness, there seems to be no changing this. So don’t be surprised if you’re constantly left waiting for your tour guide, Malaysian friend, lunch date, even when you are the guest. Hugs, quick kisses and hand-holding is all perfectly normal and very acceptable in the cities. But more than that and you may start making people feel a little uncomfortable and slightly disrespected. Do take note that if you’re in a more rural town that is predominately Malay Muslim population, avoid open public displays of affection out of respect for the more conservative Muslims in the small towns. Since Malaysia is a Muslim Country, alcohol is not served at all restaurants. Easily find which restaurants serve alcohol by asking to have a look at their drinks menu before being seated. Note that alcohol is quite expensive compared to Europe, Australia or even Bali. Ramadan is widely observed throughout Malaysia. Non-Muslims in Malaysia are not expected to observe fasting. So, unlike some other Muslim countries, restaurants, cafes, shops and businesses are still open as usual in Malaysia during Ramadan. There may be a short break in services during sunset to break fast, but otherwise, everything runs as per usual. Note: consider to dress a little more conservatively during Ramadan out of respect. 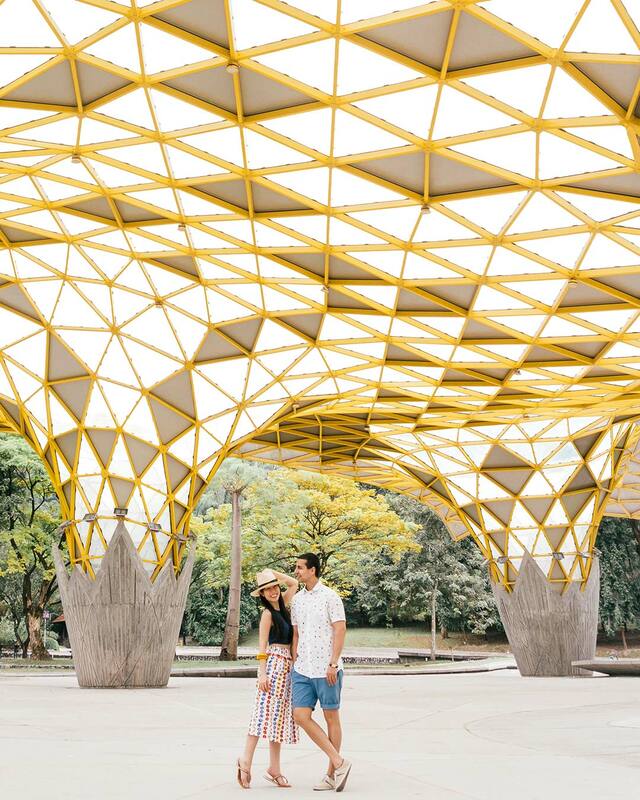 For more experiences and places to visit in KL, check out our 20-item Kuala Lumpur Bucket list here – complete with a download checklist. 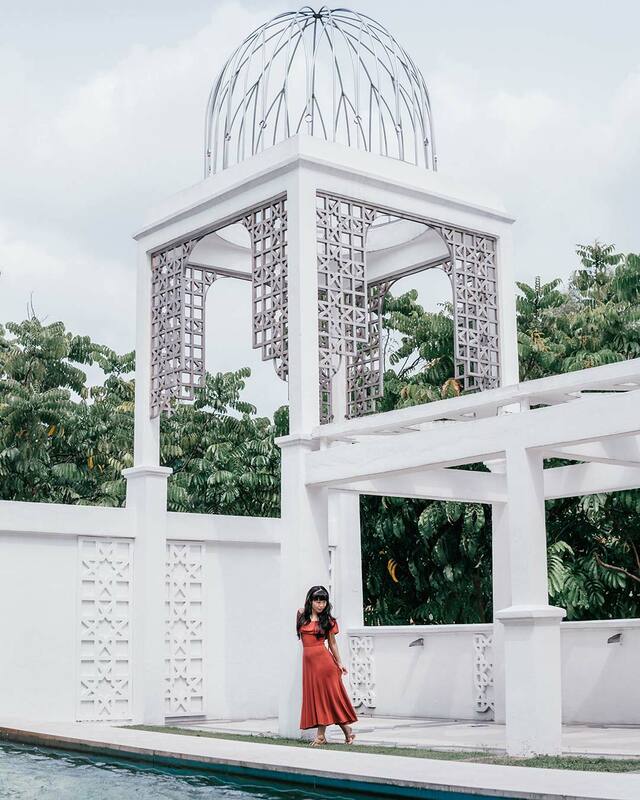 Do you have any other questions about traveling to Malaysia? Feel free send us your questions and we’ll do our help answer them. Check here for a list and the latest prices of where to stay in Kuala Lumpur. Great information about Malaysia. I love the buildings. Thanks for sharing. So glad you liked that and thanks so much for checking out our blog!